Hanoi who is no stranger fermented sticky rice, aromatic, delicious, easy to eat but hardly anyone knows that this is one of the traditional job of To village along the banks of Nhue river(now as Ta Thanh Oai Commune, Thanh Tri district, Hanoi). 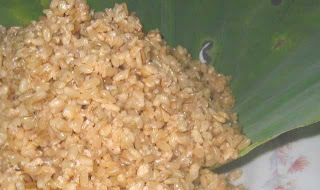 Here, most farmers are known as fermented sticky rice. They do not have to eat, but mostly for sale. There are hundreds of farmers to make this traditional craft. Each morning, fermented sticky rice follow passenger cars trips, three wheeled taxi, motor bike in the inner city to consume, that’s not counting the peddle, carry or bike to around the alleys of the city. 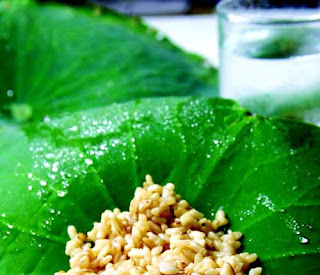 The attraction of fermented sticky rice To village this is tasty, hot intoxicating enzyme, round glutinous rice , air, fresh water, not sour. Unfortunately the false batches which have been damaged (for young enzyme or not good keep ) The villagers are kept eating, “give up” of good for the world. The old man said that the village where fermented sticky rice of village long ago. Back then there was a gentle girl , modest, hardworking team to make become a daughter in-law of the village, taking the traditional craft of making wine to the village. Villagers eat that feel delicious wine then imitation, learning to follow her. Glutinous rice prepared to cook after cleaning 2 times, steamed, cooled, keep enzyme 3 days become aromatic, also secrete a yellow-brown juice, fragrance warm and sweet . When selling, sticky rice bring small bowl, then water juice in to eat. 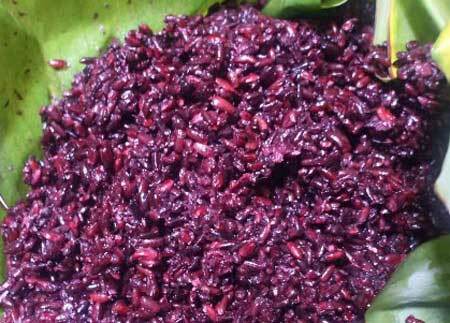 The fermented sticky rice of To village over time, so far, “innovation” both the way to do, how to sell and quality. But formula still the same , but it was much simpler to manipulate, not fussy as ever. Simple way, so the whole village could be anybody. Except on “kill bugs” (5 / 5 lunar calendar), now rarely the To villagers go only sale fermented sticky rice. Accompanied by fermented sticky rice, in the baskets, carrying their goods always have all kinds of wine as Ngang wine, Quoc Lui, violet blutinous rice needs and pocketbooks of consumers. Fermented sticky rice now is just bring your items for sale to those who “passion” or eat for fun. The owner of the cooperative Ta Thanh Oai (Thanh Tri) said that every day is to run 70-80% of people in the village market to sell wine. In addition, To villagers go over the country bring their traditional craft village to the mountains and coastal region. Many of the country girl of the village had to become a daughter in-law in Ho Chi Minh city and southern provinces, taking the wine taste of their native country.